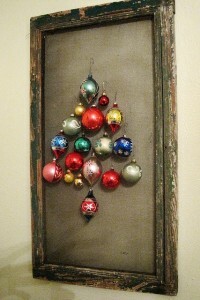 Each year, stores are full of beautiful decorations; however, there’s no reason not to reuse your old ones. However if you need to buy new decorations, try to choose led lights which consume less electricity and last longer. * Deck the halls with real holly and let nature decorate your home this Christmas. Christmas decorations can be made from organic, recycled and scrap materials. * Try organic popcorn, dough, cinnamon sticks, bows, gingerbread, holly, seasonal berries, organic fruit and vegetables, ivy and evergreen branches, pine cones, painted eggshells. * Make an inventory of your decorations before purchasing new one. * Create decorations yourself with your family Use natural material, let your imagination flows and if you need ideas, just check up the internet. * Choose non electric decoration and garlands. Avoid overloading your garden with electric garlands with consume too much electricity. If you really want to decorate your garden, then try to switch them off at night and you can also find solar lights. * If you want to light candles, make sure they are made with beeswax as paraffin wax comes from oil. 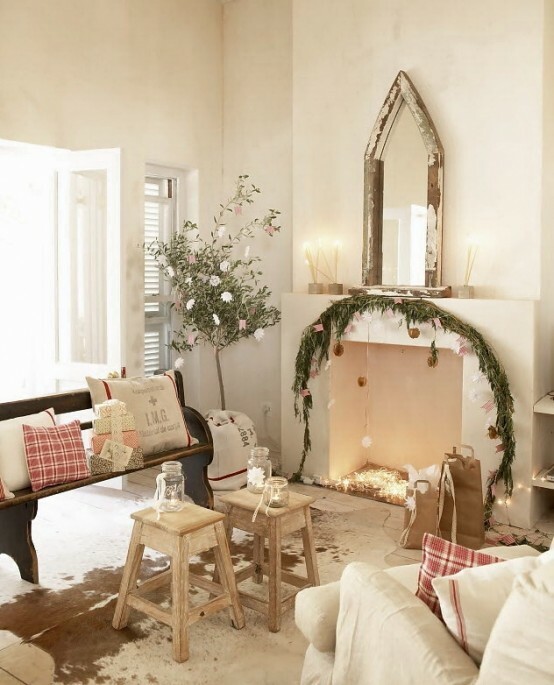 After Christmas, tidy up your decorations neatly, thus you will be able to use them again next year. By their manufacturing, transport and packing disposal, gifts are responsible for CO2 emissions, which implies climate change and further increase in waste. There are solutions to have less impact and still show how much you care. * Avoid toys with batteries, plastic too. Well selected gifts: avoid gadgets, choose something durable preferably manufactured in the UK and without packaging. * Think of immaterial presents like a theatre, train ticket or gym membership. Make gifts, offer a framed picture, a personalised calendar, greeting cards; time and your heart spent will be special. 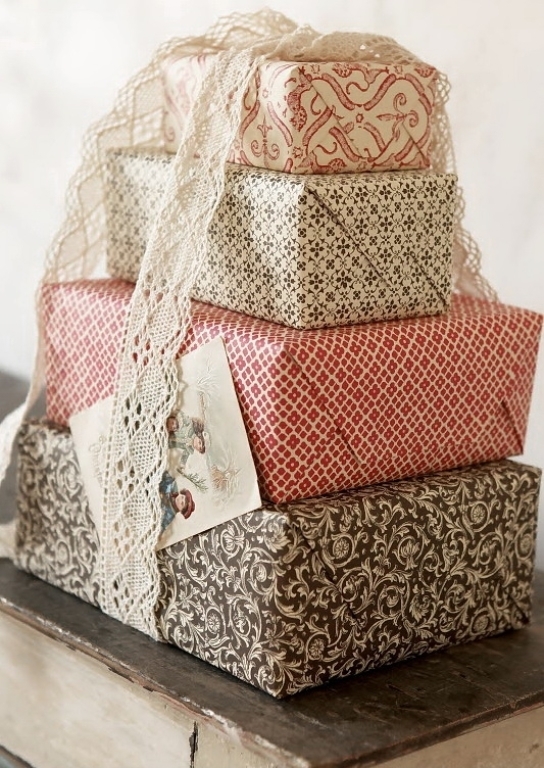 * Limit packaging: use a reusable packing like a scarf, towel or old paper gifts bags. Gifts were formerly slipped into socks, so why not take up this idea. Each second, 570 plastic bags are distributed in the UK and 16000 in the world. They are used for about 20 minutes and will take between 100 and 400 years to decompose. If you really want to use paper, look out for FSC or PEFC labels. These labels guarantee that wood used if from sustainable forests. FSC (Forest stewardship Council) label for wood from the tropics and PEFC (Pan European Forest Certification) for European forests. The most important thing at Christmas is to be with your loved ones and share a good time. 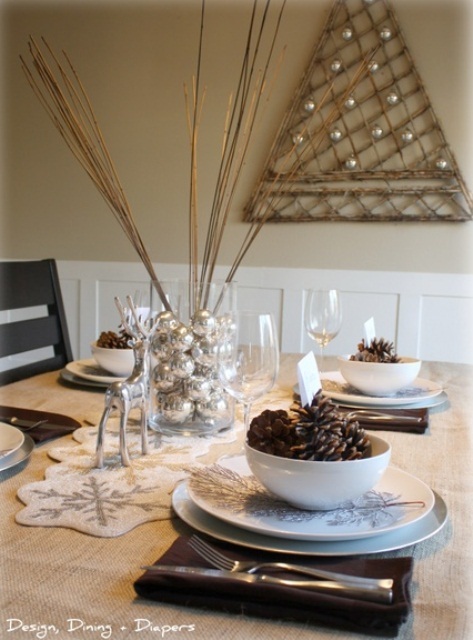 The success of the day depends on everyone taking part..
* Create your centerpiece from natural elements, such as pine wreaths, an arrangement of Poinsettias and beeswax candles. * Research recipes you can do yourself with seasonal fruits and vegetables. A fruit out of season which is imported will mean 10 to 20 times more oil consumed than a same fruit produced locally and bought in season. It’s their guarantee that they were not produced in a greenhouse, not submitted to hours of transport, refrigeration. The intensive culture of strawberries and tomatoes for export make water and land scarce..
* Salmons are the most endangered species. Try and buy organically bred salmon and prawns. * For the chocolate, you can choose fair trade chocolate. * Make homemade eggnog, hot chocolate or iced tea in large quantities and prepare pitchers of ice water in advance to set on each table to reduce waste from water and soda bottles or cans. Don’t use paper plates, glasses, your table will look lovely with pretty crockery. For Christmas eve and day switch off all the screens, tv, computers…Play family games, charades, riddles. If you have musicians in your family, why not sing along? Sort out packaging. Don’t forget that wrapping paper is not recyclable. So now you are ready to spend Christmas in an eco-friendly way. Let us know what tips you have to be more respectful of the planet? Obviously these ideas are also valid for weddings and other parties, these scenarios have always been rich of traditional consumerism and it’s up to us to make them change.